SugarLips cooks caramel and coats popcorn with it automatically. 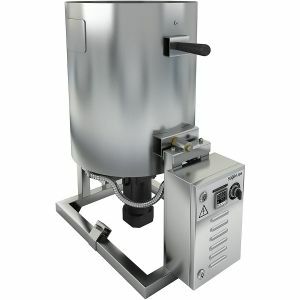 The key part of the machine is a stainless steel kettle where cooking and coating takes place. Caramelizer Robosugar is made for coating popcorn with caramel, using various flavors. 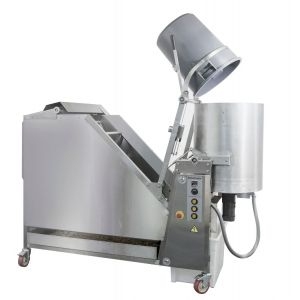 The machine consists of two key parts: the kettle where the caramel syrup is cooked and mixed with the corn and the conveyer cooling mesh, where caramel corn is cooled and separated. Caramelizer Robosugar Auto is made for coating popcorn with caramel, using various flavors. 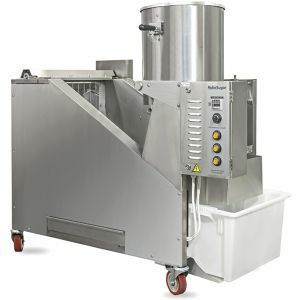 The machine consists of two key parts: the kettle where the caramel syrup is cooked and mixed with the corn and the conveyer cooling mesh, where caramel corn is cooled and separated. This is an automatic caramelizer. An operator is just responsible for loading all necessary components and launching the process. It’s all in 15 minutes the batch of caramel popcorn is ready. Caramelizer RoboSugar 20 continues a range of RoboSugar models, providing a variety of innovative solutions for gourmet popcorn production. In RoboSugar Twin Auto 20 you can make three types of popcorn at the same time: Caramel, Cheese and Chicago Mix. Enhanced productivity Compared to its predecessor, Caramelizer RoboSugar Twin Auto 20 is fully automatic and double in its output – up to 35 kg/h (75 pounds) which makes it a perfect solution for gourmet popcorn producers and concessionaries. A 75 liters (20 gallons) aluminum kettle equipped with a tubular heating element provides uniform and consistent heating without any burning of cooked caramel. Thanks to innovative engineering solutions, the conveyer cooling mesh and drum separate and cool even thick layered caramel. 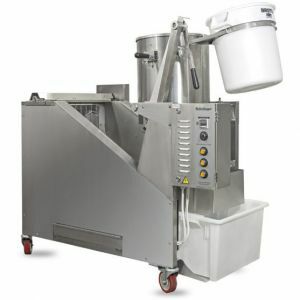 Caramelizer RoboSugar 20, mounted on locking swivel casters is very maneuverable and can be easily relocated.